When I was a kid, I used to go to this little town called Helen, in Georgia, in the Appalachia mountains. When I was 18, I was there, and went to one of these places where people sell junk - like a flea market kinda thing - and bought this album of Willie Nelson demos, because it was cheap, and it was old. 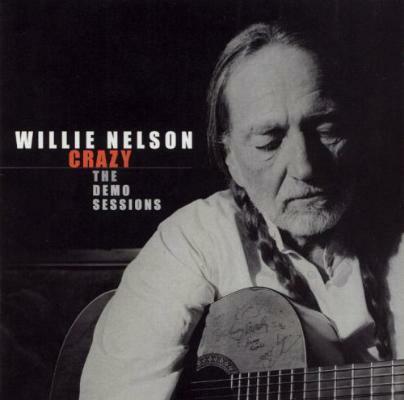 I don’t know what happened with record labels, who and what, over all these years, but that original album of demos is so much better than the edited, re-released, popular Willie Nelson demos record. The original record of demos - I dunno if it was released in the late 60s or what - but that album is full of shockingly beautiful songwriting. Shelter Of Your Arms and Three Days are on there. I’ve tried, since then, to find the same thing again, and it’s the same cover image, but different songs…it has more popular, newer stuff on it. I don’t know if he got into a publishing thing, or he maybe sold some of those demos to other artists; perhaps those other songs went somewhere else, or just got buried in the sand… maybe those songs are just like, gone, forever. If you look for it, look for the old version; make sure you’re not looking at the record label trying to stick other songs on there.